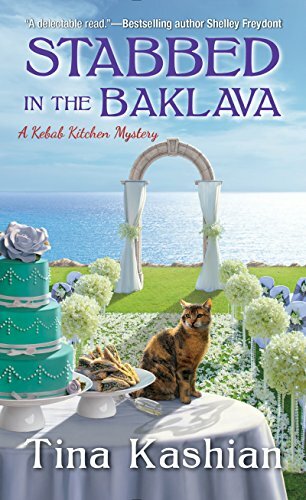 Stabbed in the Baklava, the second book in the Kebab Kitchen Series is a charming and delicious read! Lucy is expanding her position in her family’s restaurant business, taking on the role as manager. The adjustment hasn’t been without some bumps along the way…being a murder suspect in a past murder. Now, that is all behind her, and she is looking forward to expanding her family’s business. Lucy is a character I couldn’t help but love. She is determined. 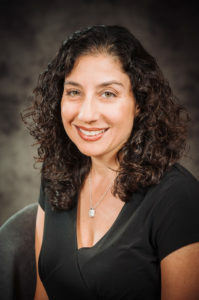 She left a career as an attorney, never expecting to stay in the family business. However, she has thrown herself into her new role, even hiring her ex-boyfriend, Azad, as the head chef. He broke her heart years ago, but she is being professional, only wanting the best for her business. It looks as if her dreams might be coming true when she is asked to cater the reception of a high society wedding. This would give the business the exposure she was hoping for. However, she has to keep the wedding secret, and she has two weeks to pull it off. Yeah, she can do it. However, she isn’t expecting to be involved in another murder investigation. This time her ex, Azad, is the prime suspect when the best man is skewered like a shish kebab. She is determined to prove Azad’s innocence! This is why I love her!!! She is willing to put her personal feelings aside to save Azad. The book is well-written, and the pacing is perfect. I loved the cast of secondary characters, especially the relationship she has with her family. The mystery itself is finely crafted, keeping my interest the entire time. One of the best treats was the recipes!!! If you’re looking for a smart mystery with great characters, good writing, and the best recipes…look no further than Stabbed in the Baklava.